Water is newsworthy: there is, or will be, a world water crisis. Aggravated by climate change, we are approaching the limits of human exploitation of freshwater resources, notably in growing essential food. The complexities and uncertainties associated with improving our management of fresh water take the potential remedies out of the hands of simple, local, hard engineering and into much larger units - the basin, the ecosystem and the global context, and also require longer term perspectives. The Third Edition follows the same structure as its predecessors, presenting the historical and scientific backgrounds to land-water interactions and establishing the links with development processes and policies. Throughout, its two major messages are that our new philosophy should be one of `humans in the ecosystem' and that the guidance from science, being uncertain and contested, must be operationalized in a participatory system of governance based on participation. Following a review of progress towards these elements in the developed world, the international case studies update the situation in the developing world following the Millennium Development Goals, our new emphasis on poverty and on global food supplies. This book covers the multitude of scientific research findings, development of `tools' and spatial/temporal scale challenges which have emerged in the last decade. Tensions are highlighted in the current and future role of large dams, country studies are retained (and considerably updated) and development contexts are explored in greater depth as a dividing line in capacity to cope with land and water stress. "Technical issues" have been expanded to cover major droughts, environmental flows and the restoration of rivers and wetlands. A separate chapter picks up these themes under terms of their relationship with uncertainty and the widespread perception that a new ethos of adaptive management is needed in the water sector. 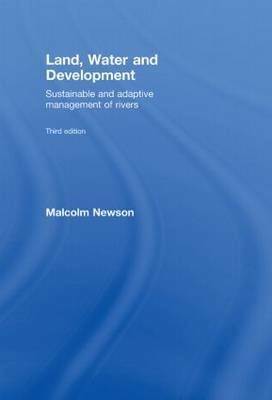 For students of geography, environmental science, hydrology, and development studies this innovative edition provides a reasoned, academic basis of evidence for sustainable, adaptive management of rivers and related large-scale ecosystems using more than 600 new sources. It will also prove invaluable for lecturers and practitioners.